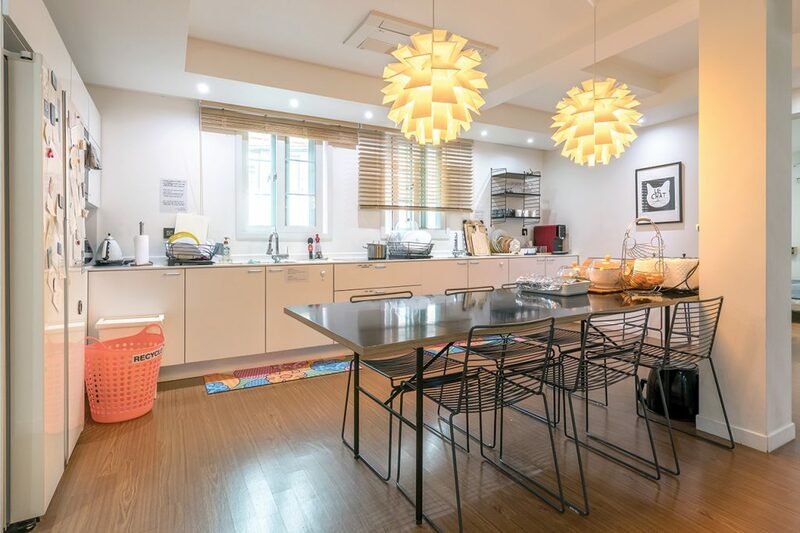 Located in the relatively tranquil residential neighborhood of Yeonhui-dong, YE’4 guesthouse is far enough from the lively Hongdae core to be very quiet and still close enough for you to walk there and claim the young, vibrant life experience for which you came to Hongdae in the first place. 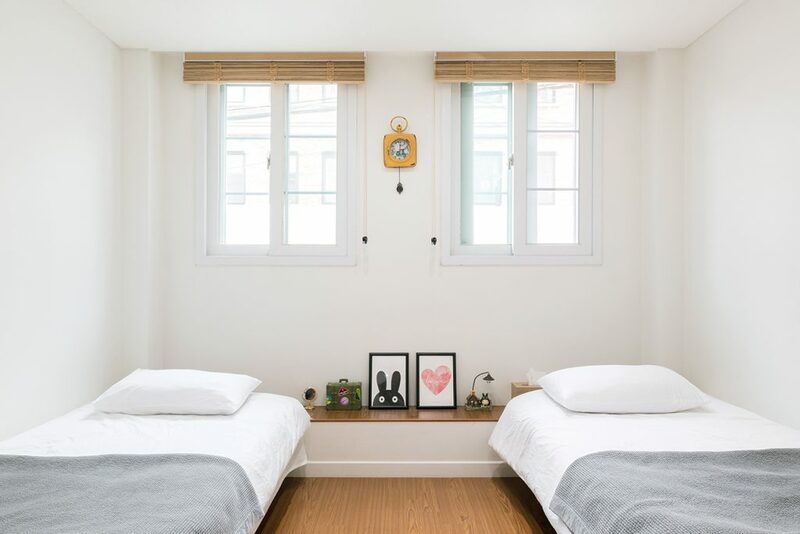 Only in Hongdae can you feel the vibrant and creative heart of Seoul, and even though a little off, YE’4 guesthouse will help you stay connected to that creativity even during your time there. The exterior is not especially remarkable, except for the fact that it is fairly large and has three floors. As you enter, however, you realize this is not an ordinary place for Korea. 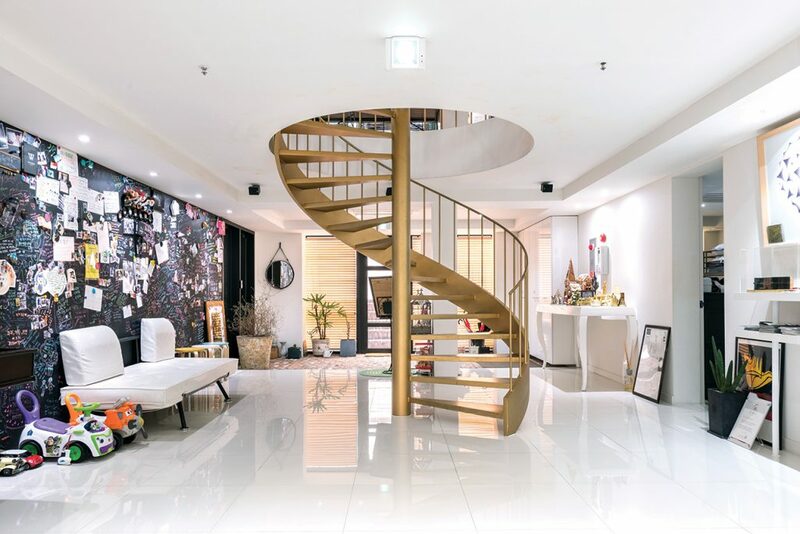 The first thing that greets you is the large metal spiral staircase. It is the central piece of the house, both because it runs from ground to top and because it is in the middle of the space. Everything happens around it. It is a very uncommon design trait for a residence in Korea, and that alone will make your stay feel very special. Another particular feature YE’4 guesthouse offers is a surprisingly cheap price. The host wants his place to be a friendly one and so has decided to create both double rooms and dormitory-style rooms. To make the mood in the house as friendly as possible, he created huge common areas on all the floors where you can simply relax, enjoy music from an old vinyl turntable, enjoy the outside air on the terrace or take advantage of a massive white screen to either watch movies or play video games with other guests. That is the strength of that place — everything is designed to make guests feel right at home with friends. Even the kitchen is extraordinarily wide so you can share your country’s recipes with others. The final reason why YE’4 guesthouse stands out is what the host does there. 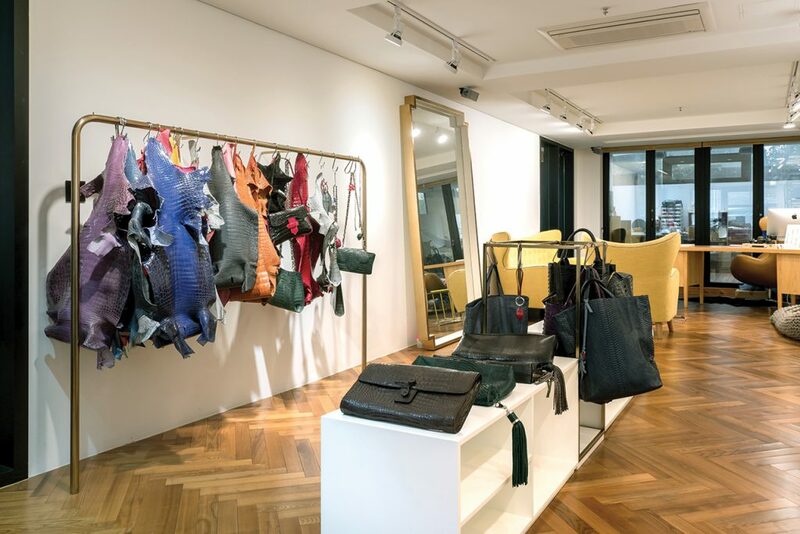 He manages the ground floor in part as a studio for leather bags and accessories. The five people who work there do their very best to produce tailor-made bags and accessories of the finest quality. You will see there some of their creations on display and realize for yourself the high standard of the work produced by those hands. You can even participate in the creation of bracelets during the studio’s workshops and create your own design from the best imported leathers and skins from Singapore. At YE’4 guesthouse you will feel that quality is an important value, not only for the studio but for its entire construction, design and livelihood. 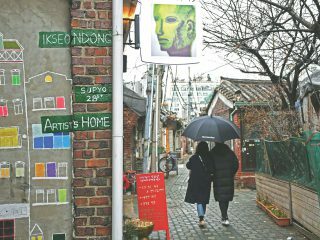 In the two years since it opened it has already caught the attention of several TV programs and commercial producers who decided to film there. As a memento of those endeavors you will find, mixed in with the signatures and notes of over 3,000 guests, signs of their passage, covering the whole length of a ground floor wall.